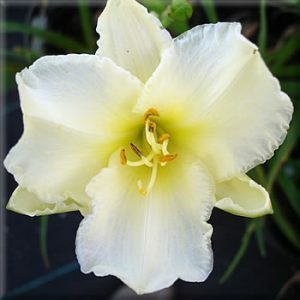 Product inRebloom ,Yellow ,Dormant ,Early Mid-Season Bloom ,Edge ,Medium height - 20-36 in. Product inFragrant ,Rebloom ,Cream ,Near White ,Dormant ,Early Mid-Season Bloom ,Medium height - 20-36 in. 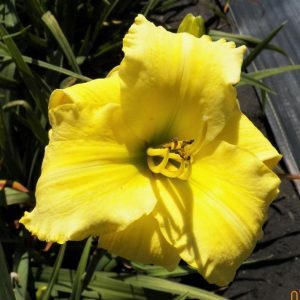 Every garden needs daylilies, but with so many types on the market, it can be difficult to find dependable varieties. 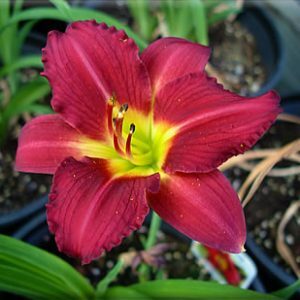 You can rely on Spring Fever Daylilies in the Rocky Mountains of Western Montana for top-quality daylilies that are extremely rewarding. Our Northern-grown daylilies are truly exceptional in color, garden performance, fragrance, hardiness, and beauty! With so many varieties from which to choose, you’re sure to adorn your landscape with the rich color of these blooms. Daylilies are the perfect perennials for your yard, garden, or perennial bed. You’re sure to find a place for daylilies in your landscape situation, naturalizing or gift-giving. When buying daylilies, choose the ones that are best for your garden, and start enjoying their timeless beauty! Shipments include bare root, two-fan plants freshly dug. Shipping begins May 1 and continues through the first week of September.